Do you wanna build a Snowmon? Whelp, they're gonna add a "Do You Guys Not Have Phones?" achievement at some point, aren't they? 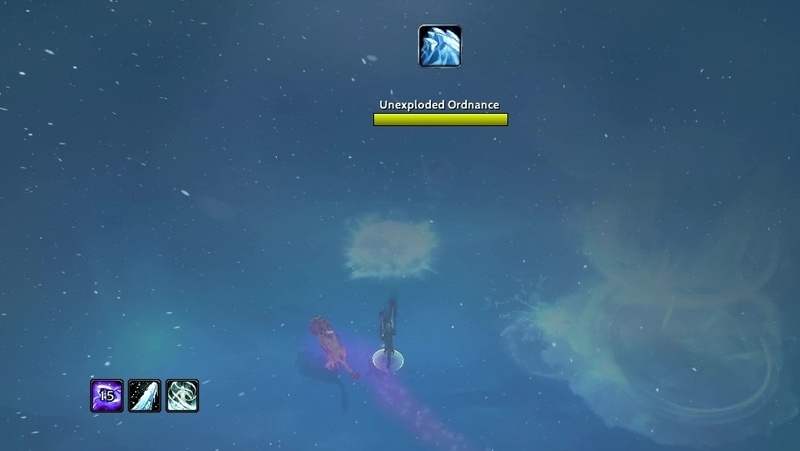 o complete this achievement you will first need 3 players to collect snow mounds during the fight against Jaina Proudmoore. Walk through a snow mound and a little snowflake will appear next to your characters. Once all 3 have been found, call out on voice comms to interrupt Jaina to enter the next phase. The players who have the snowflake should stack near one of the barrels to create the Frostiger Schneemann. Use Breitseite to remove the Lichtbrechendes Eis from the barrel next to the Frostiger Schneemann, and then attack the barrel. The explosion will cause the Frostiger Schneemann to melt, which completed the criteria for this achievement. 1. The snowmounds/snowflake effect does not put either a debuff or a buff on your character - ONLY a visual of a small snowflake following you. Don't be alarmed because you don't receive a buff/debuff. 2. Your snowflake bro will not disappear if you mess up and get frozen into a block, so you can still ask your raid to bust you out. I don't know if it disappears if you die though as a warning. 3. 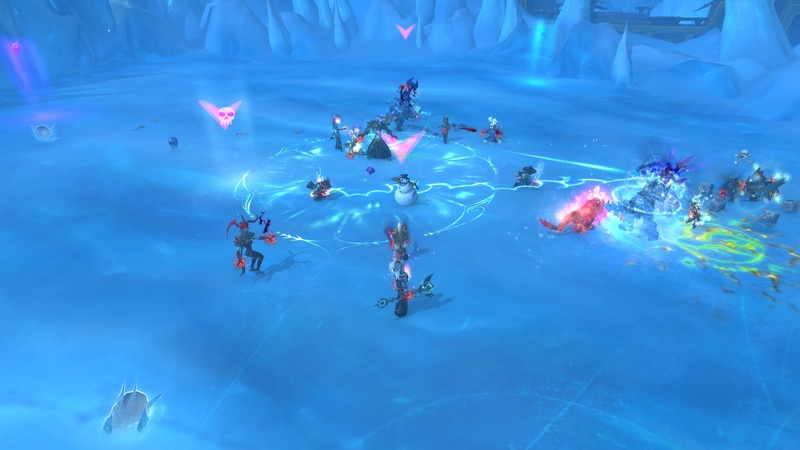 (On Normal at least) Both Jaina and the snowflake mounds will remain in the same place as before on each attempt. This is fairly helpful for beelining straight to the previous snowflake mounds that you've found.